You work hard all year meeting court filing deadlines, serving difficult papers, and managing your office staff. Sometimes you need a little break from the real world of business. Halloween is the perfect opportunity to let your creativity shine and have a little fun. I recently read this article about the Dos and Don’ts of dressing up for Halloween in an office setting. If your office does in fact participate in Halloween festivities, you may want to review the list to save yourself from possible embarrassment! I would certainly add in the fact that you should consider your clients should you have staff members that visit your client’s offices to pick up and return work. You wouldn’t want an upset client calling you because your route driver scared a secretary half to death with their ghoulish costume! With these guidelines in place, your office can have a fun and worry free Halloween party. The CALSPro Board of Directors wishes to congratulate all of the 17 companies nominated for Affiliate of the Year 2017. These remarkable attorney services from Northern and Southern California went above and beyond the call of duty for their clients and set a very high standard for our industry. We would also like to thank the many members who submitted their nominations and provided testimonials about their nominees for CALSPro’s Affiliate of the Year award. 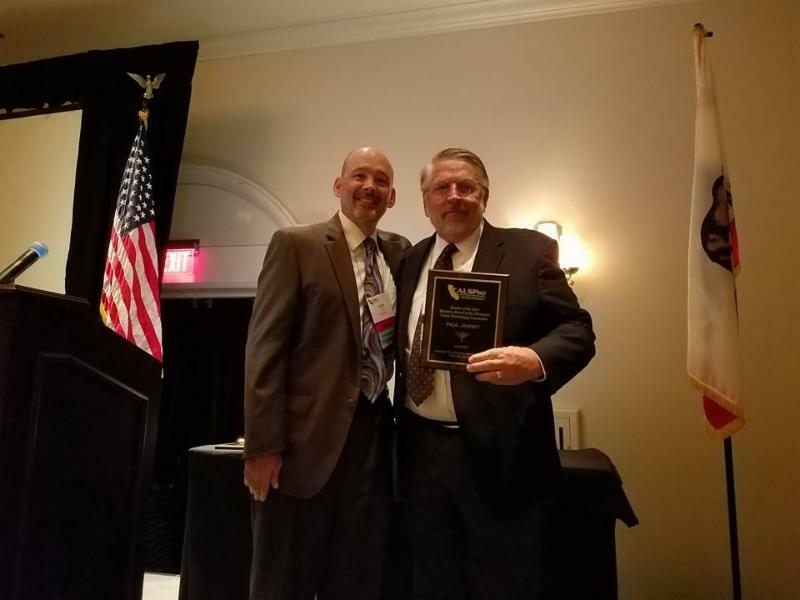 At this past CALSPro Annual Conference attendees voted at the general meeting, votes were tallied, and the winners were announced at the Saturday night Banquet. Congratulations to both amazingly hardworking and trustworthy companies! Bravo! Congratulations to the Pujol brothers! 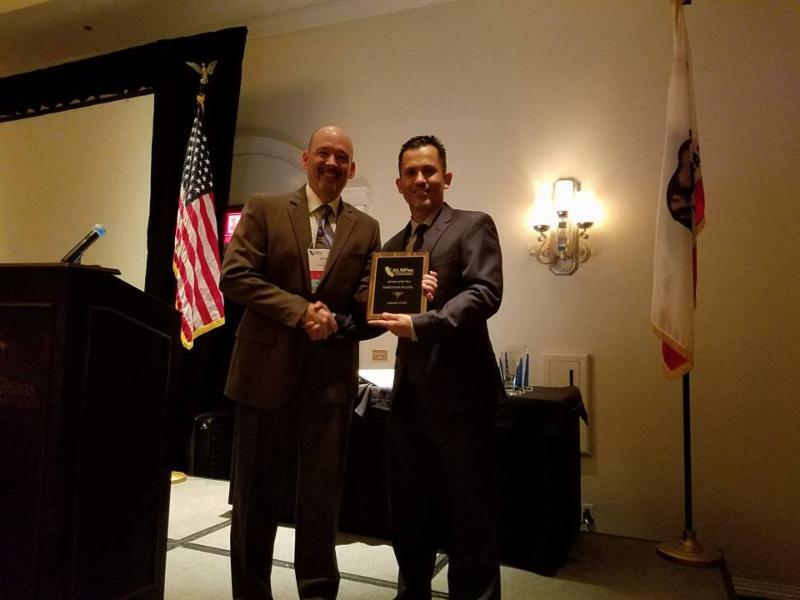 Kristian Pujol and Sal Pujol accepted this first ever CALSPro award with much enthusiasm, pride and joy! They greatly appreciated the top recognition of their peers and are CALSPro’s Best Overall Affiliate of 2017! Congratulations! As a part of CALSPro’s commitment to ramping up communication, which includes increasing the amount of blog posts we generate, we are installing a couple times every month, articles and information that stem from materials included in our CCPS Workshop Curriculum. I have been assigned the responsibility of Chairing the Continuing Education Committee this year. I am excited to facilitate the offering of education and certification to our members. With Education being one of our association’s cornerstones, be sure to take full advantage of one of the CCPS Workshops offered throughout the state in the upcoming year. Stay tuned for more information regarding the CCPS Workshop dates, times, and locations. Information to come in these blog posts will include information like: “Good Report Writing”, “3 Essential Elements of Service”, “The Four Basic Ways to Serve a Summons and Complaint”, “Codes Every Process Server Should Know”, “The Various Manners of Service”, and much more. We don’t want to give it all away, but be watching for helpful hints, useful codes, and the necessities of good service of process. Also be sure to comment below and use these posts as a platform to give feedback, as well as converse with others over the various information we post. A writing utensil is a must-have. A pencil is not preferred as it can easily fade and can also easily be erased. Notes and field attempts are essential and written documentation is always a good idea, even if only as a backup to digitally-input field attempts and notes. Map Books are “Old School” but can still prove to be useful, especially when you do not have cell service. Of course, when you do have service, your Maps Application on your phone would work best. You can also utilize the flashlight on your phone, but I would recommend you also have a sturdy flashlight available. Useful for observing, but not being observed by your subject. An absolute must on any kind of stakeout assignment. Be cautious and use discretely, you do not want to draw any unwanted attention. Again, a cell phone camera is perfect and will work without cell service. A camera is useful for snapping a picture of a posting or being able to better communicate to a client the difficulty of gaining access to a particular address. A must have for gaining access to a gated community. Also important just in case somebody calls the police as you will want to be able to quickly identify yourself as a registered process server. Keep your ID on you at all times when in the field. Always important to have a quick reference guide for all the important codes for serving papers. We are developing the CALSPro App which will have a code lookup functionality. The wallet card quick reference guide is good to have for those times you may not have cell service and cannot access your CALSPro App. If you have been in this industry for any length of time you understand that your car needs to have the makeup of a mobile office. Clips and rubber bands are important for keeping papers organized. Tape and thumb tacks are important for posting papers to a front door. Again, this one is “Old School” but can prove to be very effective in knowing whether or not anybody is even coming or going at the given address. Commonly used door marks could be: a piece of tape, a match stick, twig, leaf, penny, or paper clip. Believe it or not this is becoming more “Old School” too. Our phones and map applications have replaced the Garmin GPS devices of yesteryear. Some cars have GPS systems built in now, but your phone should be the best device for locating an address and getting directions. Other than the obvious, for making calls, sending and receiving emails, and the things listed above, your cell phone can also be useful in viewing WiFi Network names. This can sometimes be a dead giveaway whether or not you are at the right place. EXTRA! EXTRA! READ ALL ABOUT OUR NEW MEMBERSHIP RATES & CATEGORIES! As a result of the Strategic Planning Summit in July and the subsequent bylaw amendments voted for unanimously at this year’s annual conference, we no longer have the company member or individual member categories as part of CALSPro’s membership structure. Instead we have now created two new categories in the spirit of improving benefits, enlarging voter participation, and increasing overall association membership! We have simply lowered the costs and increased access to benefits! The new Active Member category costs only $350.00 per year and is a hybrid of the previous two categories. You get voting rights and the ability to run for office (like the old individual member) AND pouch access if you want to join the pouch (like the previous company member)! You will have exclusive access to the members only page, as well as the upcoming CALSPro mobile app (as seen at the annual conference)! Some benefits include: voting, pouch access, enhanced website listing, advertising, mobile app, and ALL the previous company member and individual member benefits! You may choose to pay your dues as a monthly fee of $29.95, automatically charged to your credit card on file. It’s a no brainer! The second option and brand-new category is the Independent Contractor member which allows individuals to join CALSPro for $120.00 per year or only $9.95 per month! This type of membership is for any independent wanting the join the association and advertise their services to active members. You will have access to the new upcoming CALSPro mobile app! Take advantage of these new rates and help us by signing up more employees, photocopiers, independent contractors, private investigators and others to enjoy CALSPro membership benefits while increasing our legislative strength, as we boldly jump forward into the foreseeable digital era expansion of communication, e-voting, e-ducation, and cc payment automation! Sign up now without hesitation! Over the past two weeks I’ve been in contact with our leaders to discuss my vision for the next 12 months. First on my list is membership. We all need to focus on promoting the new membership categories and recruiting new members. Secondly I want to reinstitute the Area Governor program. The third thing I want to do is improve our communications. That means blogs twice each week and a streamlined electronic newsletter. I want our members to feel informed and up to date on the association’s business at all times. Listed below are your leaders. Reach out to them when you need help. Let us know if you would like to serve. We are looking for your ideas and your time to help carry them forward. CALSPro recognizes that our members lead stressful lives. Regular exercise keeps the mind and body healthy. If you don’t have time for a full workout at the gym, doing these quick exercises at your desk is a good way to get the blood flowing and clear your mind. The average American is inactive nearly eleven hours per day, independent of sleep, according to the Centers for Disease Control. Despite the human body being designed as a perpetual motion machine, modern life has allocated our daytime hours to sitting in cars, on couches and in front of computers, which has left many of us hunched over and in constant pain. The human body is extremely efficient. The form and function of muscles adapt almost immediately to the demands placed on them. When you are perpetually active, your muscles improve their neuromuscular, biomechanical and metabolic machinery to accommodate your activity. Oxygen and glucose are transported to the cells more and more efficiently. Muscles contract and relax as they were designed to do. When you’re not active, however, your muscles adapt to inactivity. Metabolism of lipids slows down, oxygen and glucose transport to the cells becomes less robust and efficient. Sitting for hours at a time convinces your muscles to accommodate this “scrunched” position. Hip flexors shorten, the neck and upper spine protrude forward, and the glutes and hamstrings weaken. Over time, this creates tension, compression and other pain-inducing joint pathologies. The good news is that with short, efficient movement breaks throughout the day, you can “un-desk” your body and decrease the health risks of inactivity. Perform these five movements every 60-90 minutes throughout the day. There’s no need to even leave your desk. In addition, try to stand up every 20-45 minutes and always be looking for ways to move more throughout your day. Computer keyboards require your hands to be in a near “forced pronation” position most of the day. In this case, the fascia of your anterior forearm muscles shorten and eventually give way to elbow and wrist pain. Stand at the edge of a desk or counter. Place your hands on the surface. Externally rotate your hands so that the fingers are facing your body, as close to the “6 o’clock” position as possible. Without causing pain or extreme discomfort, lean forward and bring your palms toward the surface of the desk or counter. Attempt to straighten the arms at the elbow. Keeping your palms on the surface, lean back, feeling a stretch of your forearm muscles. The “hunched” position so many people assume while sitting at a desk creates a tightening of the muscle and fascia system associated with the lat muscles. Because the lat muscle integrates throughout the entire upper body, this can cause poor posture and pain. Standing upright, clasp your fingers behind your head without straining the neck. Keeping both feet on the floor, turn your head to look at the left elbow. Maintaining this position, lean your torso to the right without bending forward or extending backward. Hold the stretch for 30 seconds. When you sit in a chair for extended periods of time, the muscles that help you elevate your hips against gravity become tight and short. Because these powerful muscles have origins and insertions involving the spine, pelvis and leg bones, improper function can create pathology, pain and poor posture. Place your left hand on the surface of a desk or chair for balance. Bend the right knee and grip the right ankle, slowly bringing the right heel toward the right glute muscle. While doing this, tighten both glute muscles to avoid an excessive arc in the lower back. Bring the right knee toward the left knee while keeping the glutes tight and spine upright; try to straighten the left leg. While sitting creates a shortening of the hip flexor muscles, the hip-extending, externally rotating glute muscles often lose strength and functionality. This is because sitting holds the hips in a “flexed” position. Without proper glute strength and functionality, the lumbar spine is put under greater stress. Place your hands on a desk or chair for balance. Place the outside of your right ankle above the kneecap of your left knee (this forms a “4” position with your legs). Keeping the chest upright and the hips facing forward, bend the left knee and lean back slightly. To increase the stretch in the right glute muscles, place a hand on the inside of the right knee and push gently toward the floor. Sitting continuously forces your lumbar spine (lower back) into flexion. It also elevates and protracts your shoulder blades, while internally rotating at the shoulders. In a nutshell, everything is held forward. In this case, the muscles that help your spine to extend, your shoulder blades depress and retract, and your shoulders to externally rotate lose strength and functionality. A whole host of pain and pathology are the result. Standing upright, flex forward at the waist without bending at the spine. Your hips should shift backward and the arms should hang naturally in front of the body. After three deep breaths, return to an upright position while simultaneously moving the arms away from the body laterally, approaching a position just below parallel to the floor. While raising the arms, rotate the thumbs backward, facing the palms of your hands toward the sky. As your arms raise in this position, picture the thumbs moving toward one another behind your back. Once upright, continue to extend the spine, without pain, to a position where your chest is facing upright, your arms are slightly below parallel to the floor, your palms are facing upward, and your thumbs are moving toward one another. Hold this position for three breaths and repeat five to 10 times. By Robert Porambo, Knox Attorney Service, Inc. I recently found this article from the Sept. 3rd San Diego Union-Tribune and thought it had some great ideas for everyone who wants to get ahead and be more successful — including your employees and yourself. HINT: You might also want your HR to keep it in your files to pass out to new employees. Be a servant of others, not yourself. Be a volunteer, not a draftee. Be a teacher, not a truant officer.